Electric Picnic will not be showing any GAA matches this weekend so here are some of the ways in which you can keep up with the score while still enjoying the Picnic. First of all, the most obvious answer is to head to the local pubs. Predicted to be jam-packed on Saturday for the reply, it might be hard to get a good viewing spot and, of course, you'll be missing out on some festival fun. Not only that but you'll be caught in some post-match traffic heading back into the festival and you don't want to miss your favourite acts. That in mind, here are some more inventive ways you can keep abreast of the match. Independent Sport will be live-blogging the match - we're available on mobile and via our app (below). The Independent.ie app is the easiest way to keep up with live breaking updates - turn your notifications on and the app will let you know when the live blog kicks off. 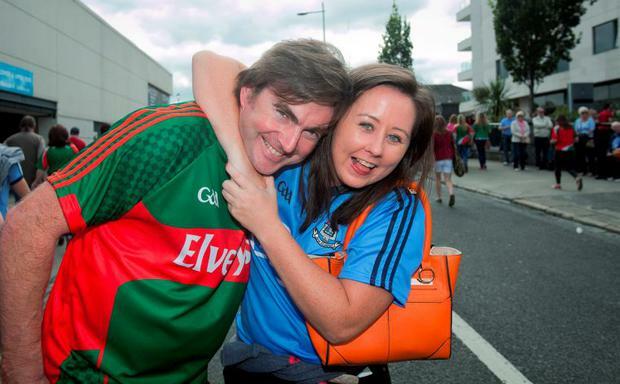 Mayo GAA live-tweet all of the Mayo matches, and give a blow-by-blow account. The only delay between tweets is how long it takes to write the next one. Download the Irish radioplayer app before you head down and you can listen live to the coverage on RTE radio. Plug just one earphone in and you can still enjoy all that the Festival has to offer! Be careful not to frighten anyone with your shouts, though! Download the official GAA app and it send you the latest sports news, fixtures, photos and results. This app can be heavy on battery, however, so make sure to switch it off when the match is over! Download the RTE GAAGo app - however, you will have to redirect your phone's location (it's not available to the UK and Ireland) and borrow a UK or US credit card to pay €14. While you (more than likely) won't be able to get near a desktop computer, you can download the RTE player app and try to watch the match there. Heavy enough on data and coverage won't be too strong at the festival so if you can get to somewhere with free wifi, that would be recommended. The LiveGaeilic app has a live 'Match Tracker' updating as the game progresses. As many of these are quite similar, it's up to personal choice how you keep up with the game. Do you prefer Twitter or apps? Would you rather read or listen to the results? Have we missed any ways you can catch the match at EP? Tweet us @IndoSport and let us know!